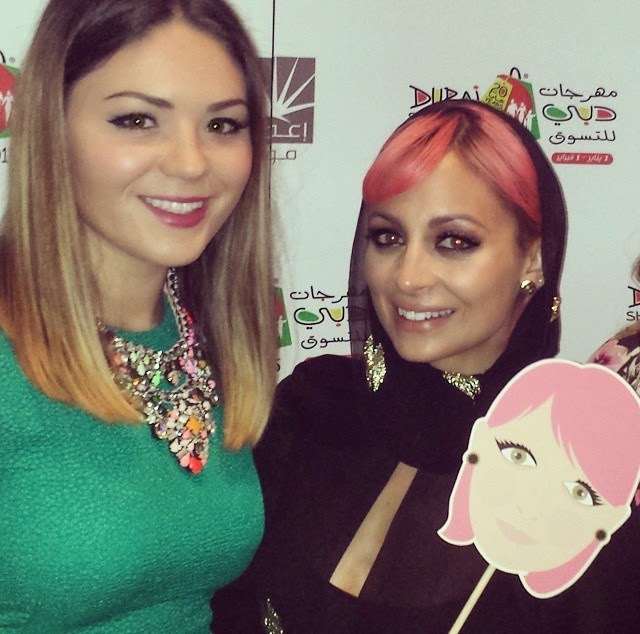 Nicole Richie headed to The Dubai Mall (31st January) for a third day of celebrating House Of Harlow 1960 during the annual Dubai Shopping Festival. 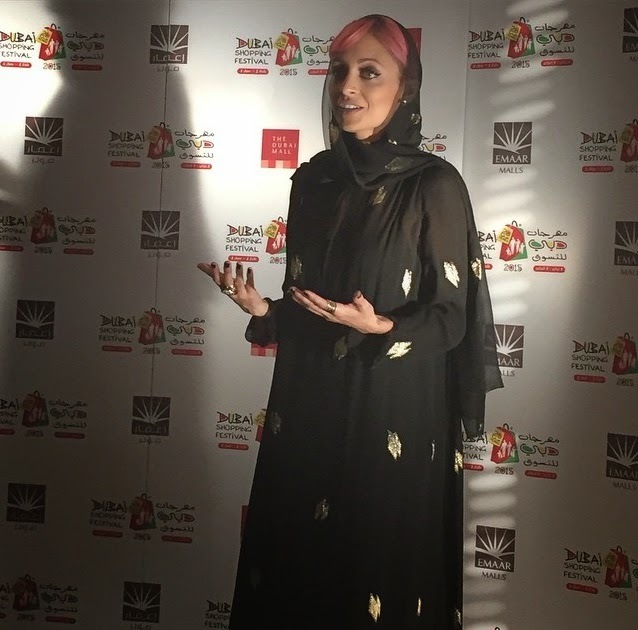 For her third Dubai appearance Nicole Richie wore traditional Middle Eastern attire by vintage Dior. Purchased from Bustown Modern - This vintage 1970's silk gown features metallic gold lurex running throughout. Marc Bohan for Dior. Amazine draped panels in back hang like curtains while standing and flow freely behind while walking. 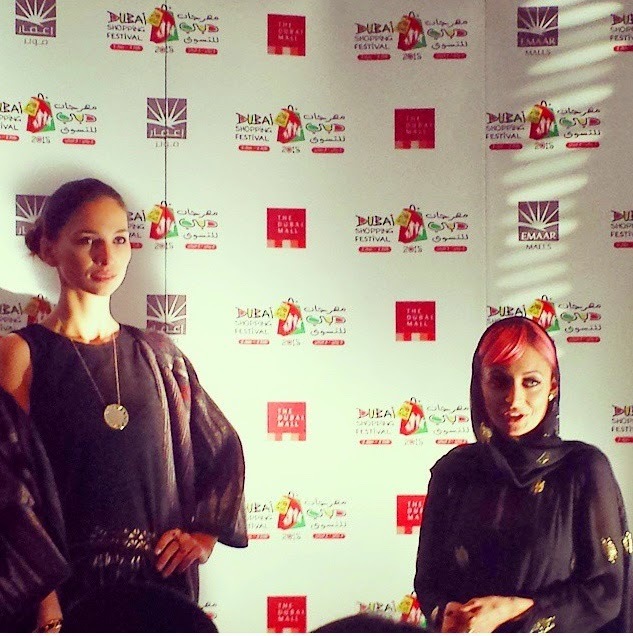 Nicole worked her styling magic on the stage inside The Dubai Mall, styling pieces from her HOH1960 collection.